Who would of thought, some cute little, experimental nails, would cause such controversy? Rewind a few months a go, when randomly one evening..like most evenings, I painted some nails. This time I thought it would be fun to add some pom pom's to mix and match with the bright, blended colours I painted on each nail. 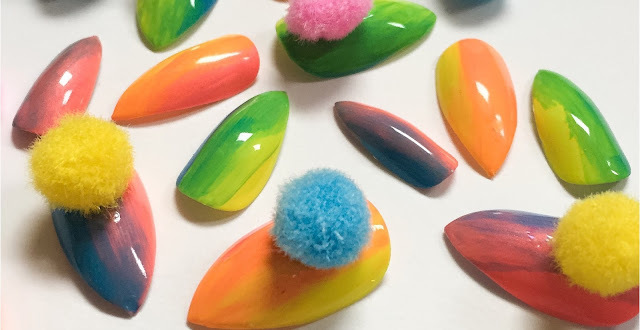 I came up with this idea, when I was in a craft shop, looking for random things to stick on nails, and of course I came across miniature pom pom's, and thought, why the hell not? 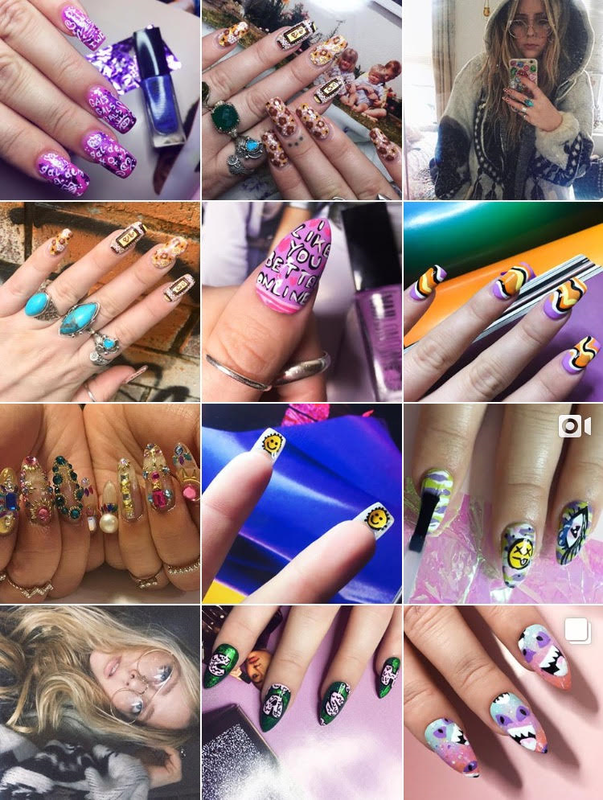 I hadn't realised a mini trend started with pom pom nails, not all positive reviews mind you, though I was surprised how some innocent, creative nails could cause people to say ' what the hell' 'ridiculous' in such a negative way. To me, yes they are ridiculous, made simply for fun, playing around and being creative, and not made to be practical obviously. Would you wear these nails? 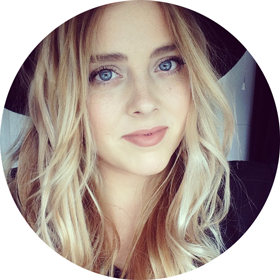 Even for a night out, pom pom press on nails, that you can wear as long as you want and take off as soon as you need. Or do you think they are ridiculous too?